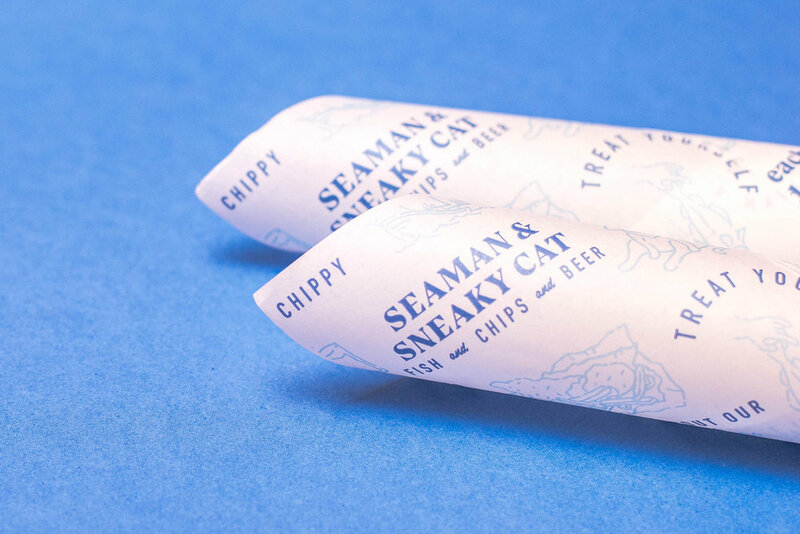 Seaman and Sneaky Cat is a British-style fish and chips restaurant – traditional, but with a twist. The lightly battered fish and chips are the restaurant’s signature dish, although there are plenty of other options on the menu, including pies, burgers and other seafood. And yes, they serve also beer. Their identity tells a story about a seaman who is a provider of seafood served in the restaurant, as well as a sly cat. It is like a seaman diary where the serious content mixes with doodles and colourful print cuts. Quirky brand voice, which sometimes becomes false, for example, by conceiving and convincingly announcing the year of the restaurant's opening. 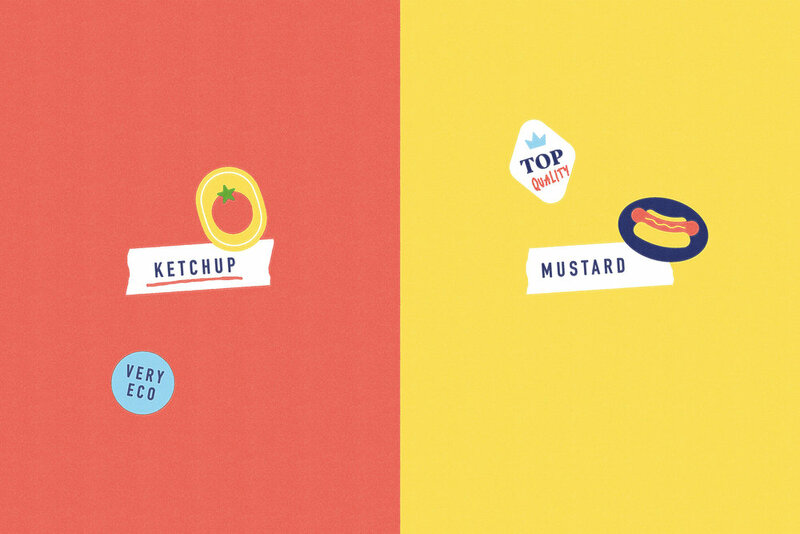 Restaurant menu, guest checks, drink coasters, takeaway wrapping paper and plenty of colourful stickers were designed. Does this place really exist? ? Maybe yes, maybe no, we cannot neither approve, nor deny.